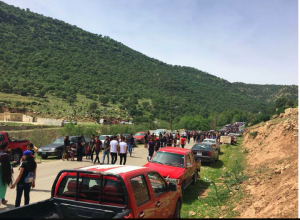 One of the most important events of the Yezidi New Year is the Parade of the Sanjaqs or Parade of the Peacock. 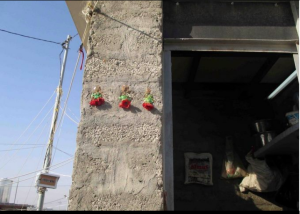 Bronze lamps surmounted with peacocks are taken from their normal home, the residence of the Yezidi Prince, and are paraded through many of the Yezidi villages. The Sanjaqs, which came from the Yezidi homeland of India, are the most precious sacred objects among the Yezidi. Originally there were seven Sanjaqs, one for each of the Seven Sacred Angels, but five were taken in 1892 by the Turkish Muslims. Of the two remaining Sanjaqs, the largest and most sacred one is the Sheikhani Sanjaq, the Sanjaq directly associated with Tawsi Melek. The two Sanjaqs are taken in procession to the Yezidi villages by the qewels, who then remain in each village for one night while giving discourses to the inhabitants on Yezidi spirituality. 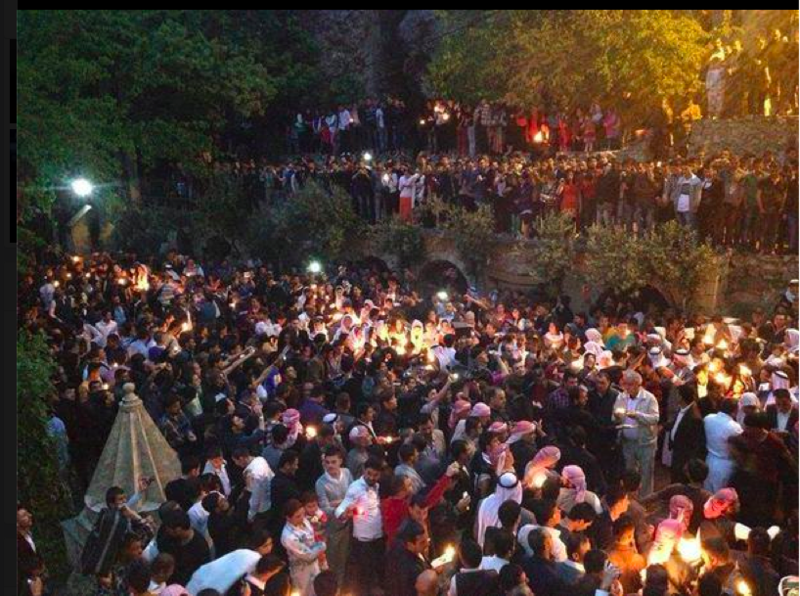 The Three Day Fast of December is one all Yezidis are expected to observe. 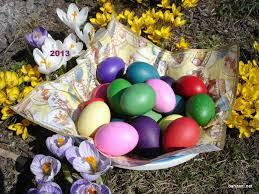 Fasting occurs from dawn until sunset, and the nights are given to feasting, merry making and some prayer. 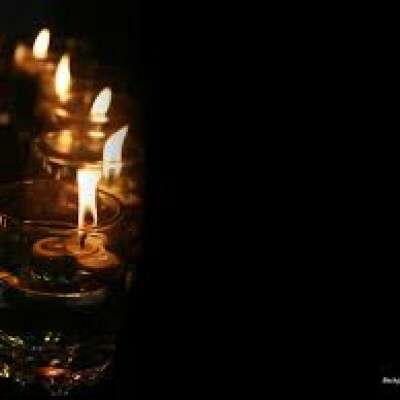 This is also the time for fasting in other ancient traditions, time to connect with the divine, celebrate and pray for world peace. Time to connect with our neighbors and the global village we live in. 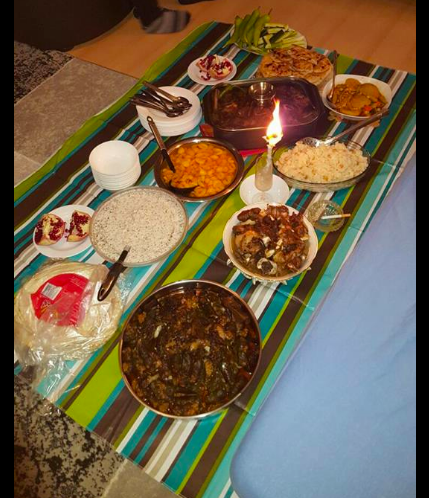 As for the Eda Rojiet Ezi or Feast of “Ezi or the Almighty” , it falls on Friday after three days of fast according to oriental calendar. in 2015, the holiday fell on December 18th. Wearing the Tausi Melek thread on wrest. This thread is prayed and blessed in Iraq. The red thread is for the heart which is love and the white thread is for Purity which is peace. As many Americans complete their Thanksgiving feasts and look forward to the celebration of Christmas, Kwanza or Hannukah, Yezidi Americans, prepare for their most important time of fasting. 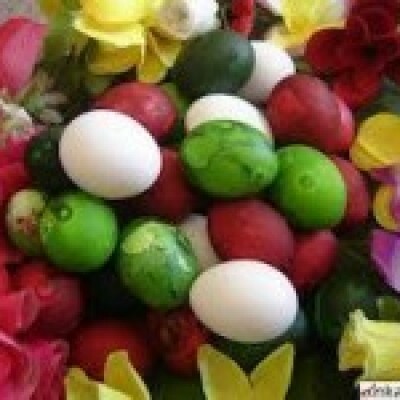 The Rojit Ezi or the Fast Of Ezi is a three day observance of fasting and time spent with family and making offerings to charity and those less fortunate. 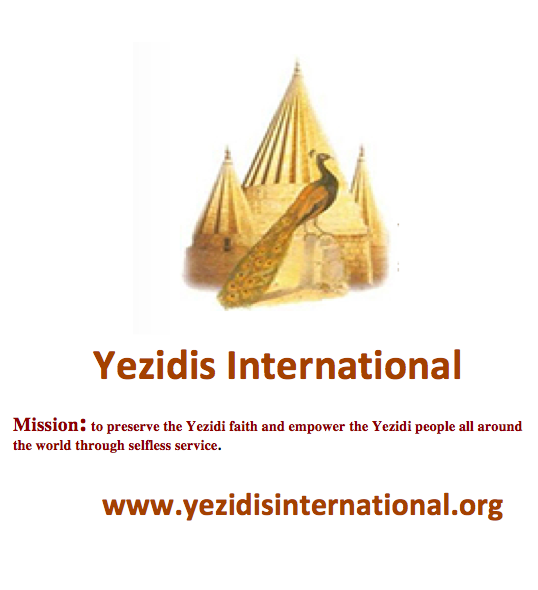 Yezidis are immigrants who came to America from Syria and Iraq. They are an ethnic minority who have lived among the Kurds for thousands of years, but unlike most of their neighbors in that region, Yezidis are not Muslim. In fact, they have been persecuted for nearly a thousand years for their steadfast refusal to embrace Islam. If you have heard of Yezidis it is probably because of the ‘ethnic cleansing’ carried by Saddam Hussein in the 1970s and 1980s. More recently they have been targets of ISIS. They are a unique people in that their monotheistic religion predates Judaism and is based largely on oral tradition. 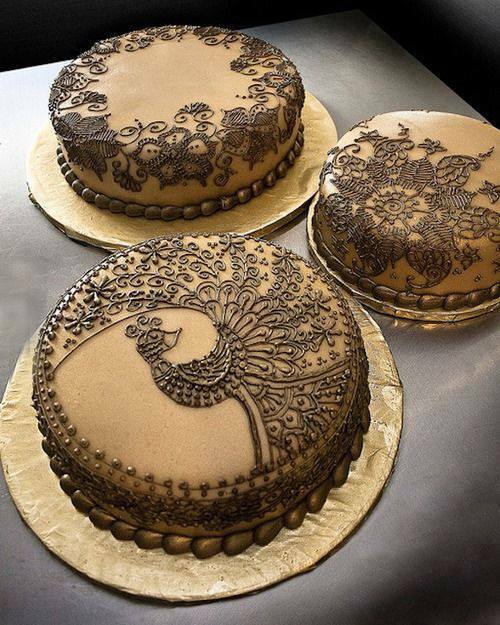 “Our beliefs are not in a book, but we practice them in our lives. People used to call us ‘sun worshippers,’ but it isn’t that we think that the sun is God, instead we believe that the sun is a representation of God’s light shining down on all of us. 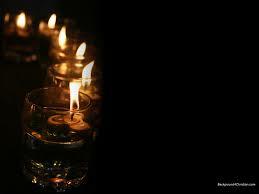 We say, Roj Nure Khode, which means it is God’s light” said Gulie Khalaf. Khalaf, director of Yezidis International, wants to share the story of the Yezidis. Khalaf was born in Syria and spent her childhood in a refugee camp there. Her family came to America in 1998 and settled in Lincoln, Neb. in 2007. Khalaf became a citizen in 2004. During the day she works as a substitute teacher for Lincoln Public Schools. The rest of her time is spent working at St. Matthew’s Episcopal Church where they host several programs for the Yezidi community, including “The Grandma Project” – an effort to help the older women of the Yezidi community learn to speak English and learn to drive. The community in Lincoln is one of the largest Yezidi groups in the U.S. and consists of approximately 3,000 people. 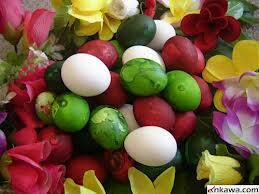 The time of fasting of the Rojit Ezi occurs over three days in the second week of December. The fasting ritual takes place from dawn to dusk. 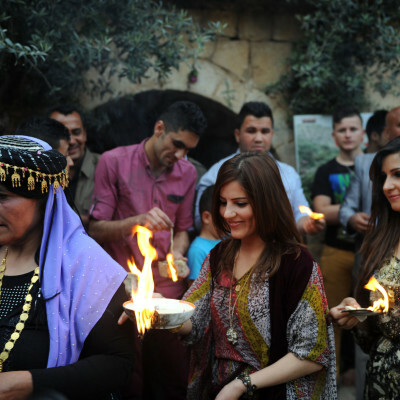 Yezidis believe that fasting is a time to expand their sense of compassion for others, to deepen their sense of gratitude for all that they have, and to focus their minds on prayers for their community. During the fast, families awaken early to eat a large breakfast to give them sustenance for the day. They are supposed to refrain from eating, drinking and using tobacco from dawn to dusk. During the day, they are also supposed to pay extra attention to their language and their thoughts. 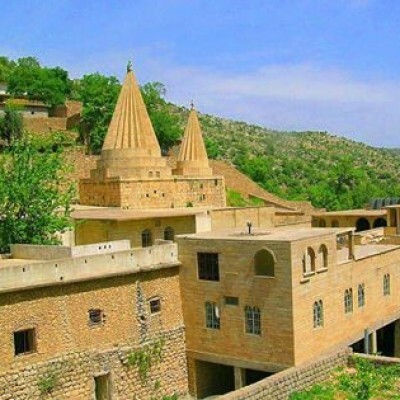 They have been taught, Khalaf says, that a Yezidi person cannot simply fast with their stomachs; they also must be fast with their hearts and minds. At the end of the day, after the sun has set, Yezidis break their fast with a large banquet, usually inviting friends and neighbors over to share the meal. Games are often played and songs are often sung while people gather in community. 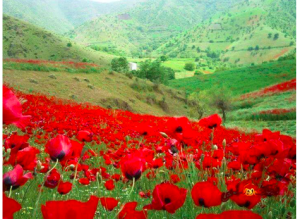 On the fourth day, the Eda Rojia, after three days of fasting, the faithful break their fast and celebrate, greeting each other by saying eida te pîroz bet or happy holiday! Community is one of the most central aspects of Yezidi culture. They are a fairly closed society in that you cannot convert out of or into being a Yezidi. In spite of all they have been through, their beliefs center on being kind to their neighbors, and respectful of other cultures. 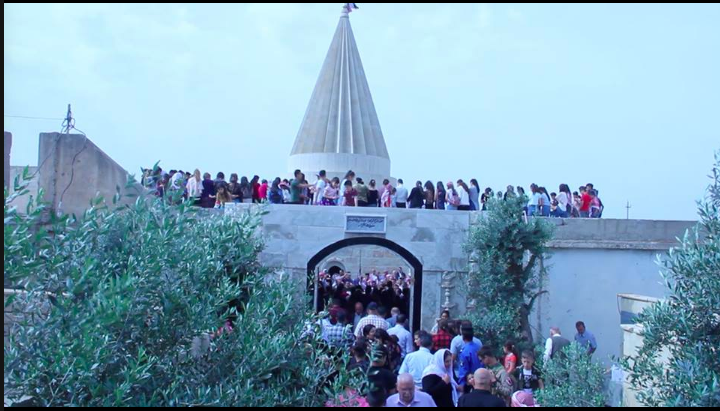 Eida Batzmia or Eida Piralli is one of the Yezidis many holidays. 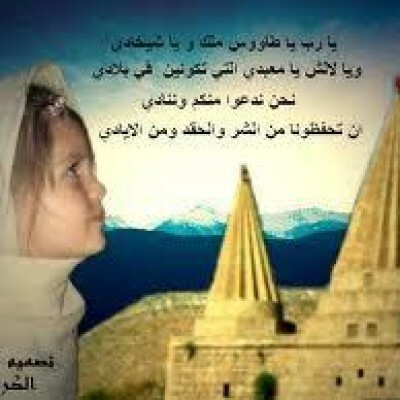 Yezidis are known as the worshipers of Sun (Roj Pars). Sun along with fire plays a large role in their rituals, festivals, and holidays. In addition number 7 plays a role representing the 7 angels. 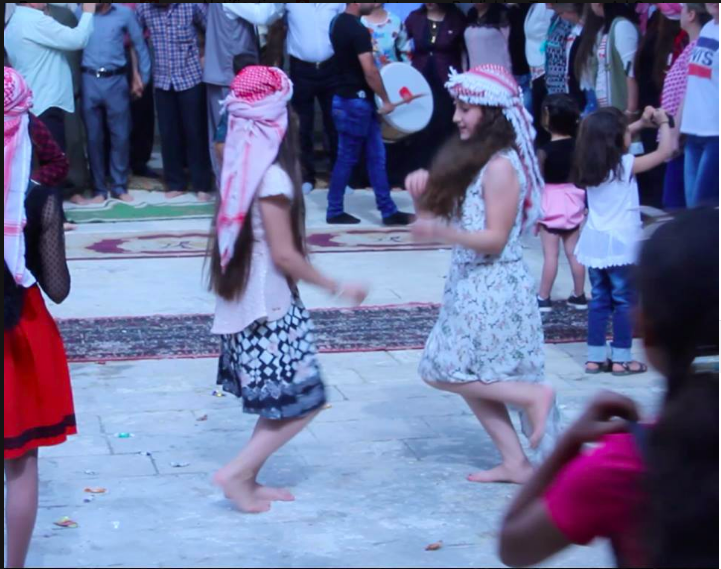 A small group of Yezidis, Yezidi a Chelkiy, celebrate Batzmi. They can be pirs or murids. 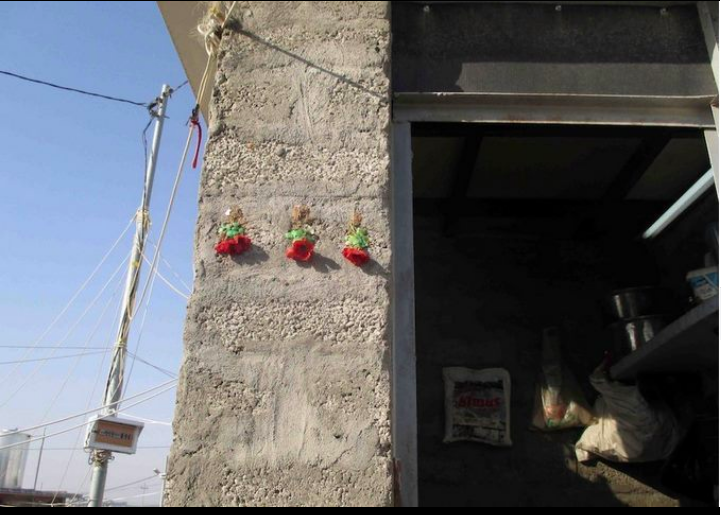 Although it’s Chelkiya’ holiday, other Yezidis visit them and participate in the 7 day holiday in different ways. 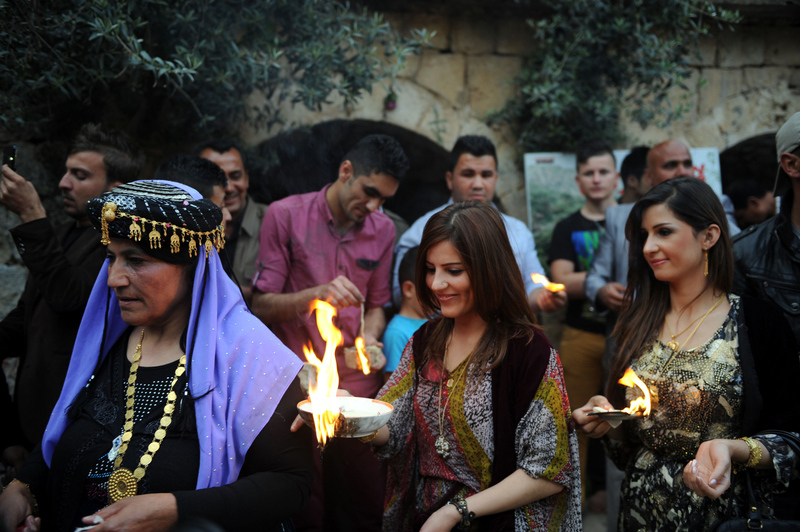 The largest group of Yezidis who observe this holiday were originally from Turkey. They became scattered all over the world due to forced conversions and persecution throughout 1800s and early 1900s. 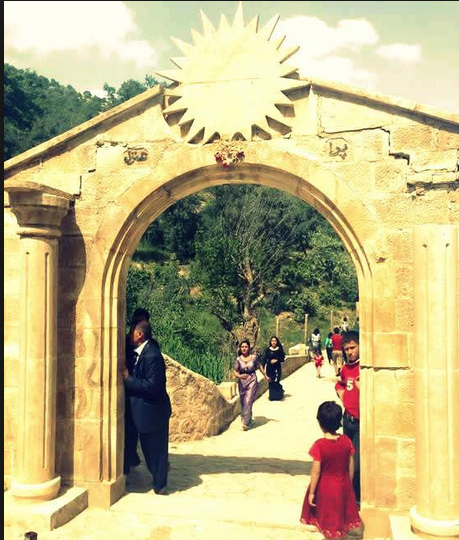 Historically, just like Sinjar, Turkey was an ancestral land to many Yezidis. 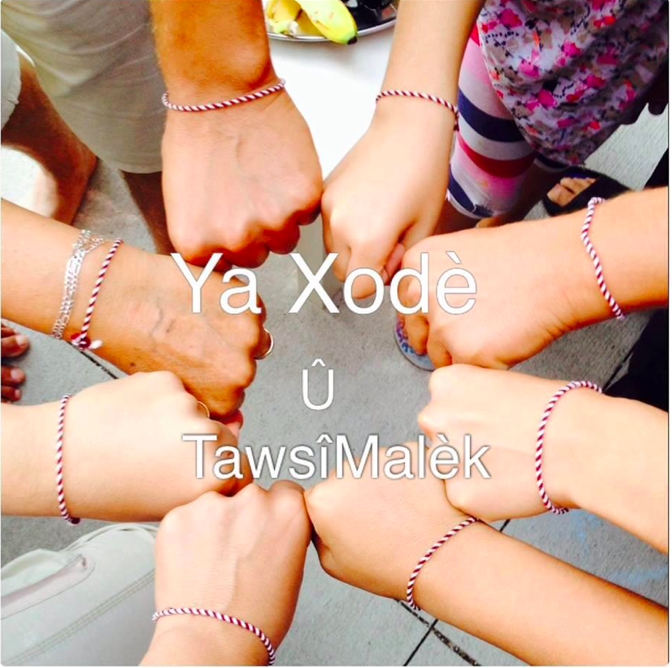 Today, there are less than 423 Yezidi residents there. 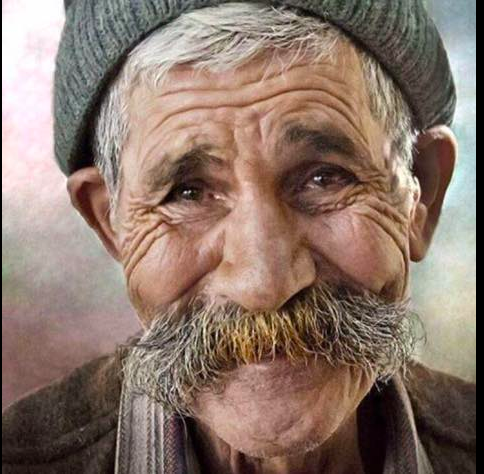 Yezidism was the official religion of Jazra, a principality of Turkey during Ottoman Empire. 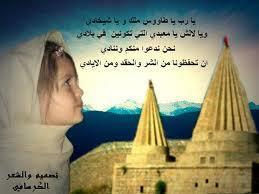 There is a large number of Yezidi a Chelkiy in Syria and there are some in Iraq who also observe this holiday. Batzmi is a 7 day holiday and the actual celebration falls on the last Wednesday of December; thus making the holiday fall between the old and the new year. 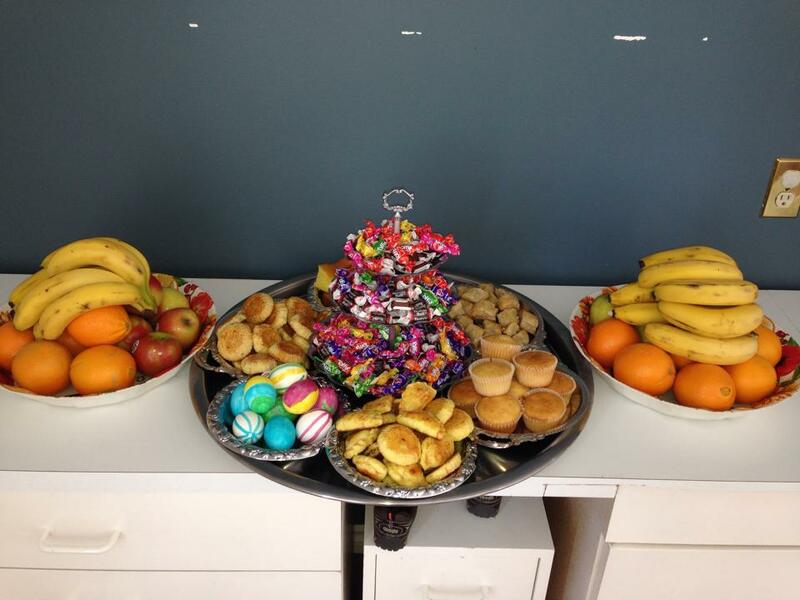 However, Yezidis in diaspora sometimes choose to celebrate it a week earlier due to work and school. Tuesday: Day two of fasting. 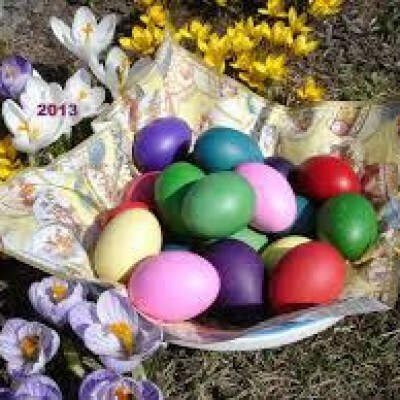 cleaning and Nan a mrya (giving of food in honor of the deceased) takes place today. The Batzmi’s special food is also prepared for the first time in the week. This meal would continue being prepared throughout the rest of the holiday in large amounts. 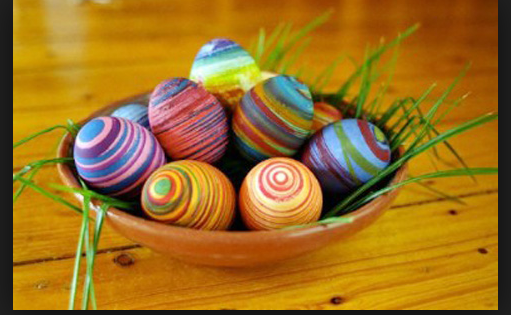 However, on Wednesday the meal includes 7 Sawgs (a special bread made round with shape of Sun on it). Simata Piralli a special soup made only at this time and has stayed the same for centuries. Basmbar is made today. This is red and white which is prayed upon as it is being spanned. Thursday Night: is the night of Shav Baratk . Yezidi community gathers at the house of those observing Batzmi till sunrise. Since Yezidism is an oral tradition, times like Shav Baratk use to play a large role in affirmation of identity and learning about ones faith and history while being entertained. 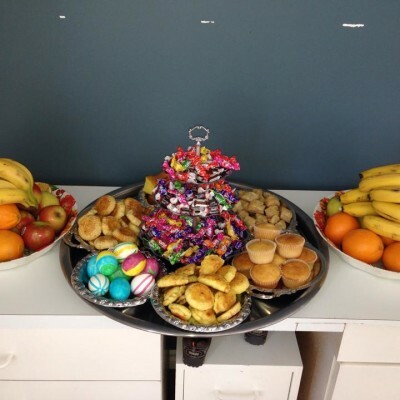 Shav Baratk is a night full of fun, passing of knowledge, and eating. In modern day and in diaspora, celebrating Batzmi is a bit more difficult. 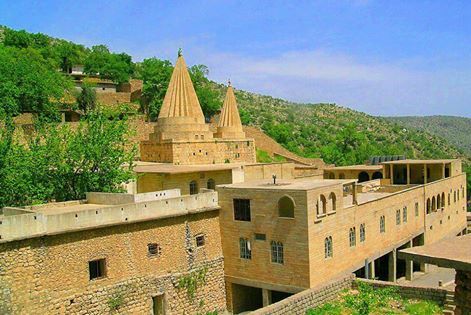 In there ancestral land, there would be communal gathering of common people, Yezidi Qewals or bards, and religious leaders. 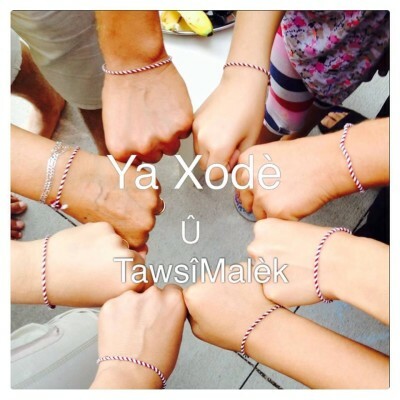 Part of the night would be spent reciting Yezidi qewals, hymns, and epics. To keep the followers awake, there were many opportunities of entertainment. This would be a time of service, so bands would offer play music to entertain the crowds who would gather for outdoor dancing. This would be followed by Karaoke and playing old games of Gostelgyy. In addition, Galeg would be made. This is where an older man dresses in a scary way sometimes toward middle of night around one o’clock. A bulky man dresses in a scary outfit. He covers his face with black makeup and wanders around with a stick in his hand frightening the followers. Another one dresses as the bride. The sight of Galeg wandering and pretending to strike the fire in the fire pit and playfully strike people around, would scare many of the observers awake. He would continue to proceed and becomes especially frightening when his bride would be stolen from him. Games, communal dancing and festivity goes on until sunrise. 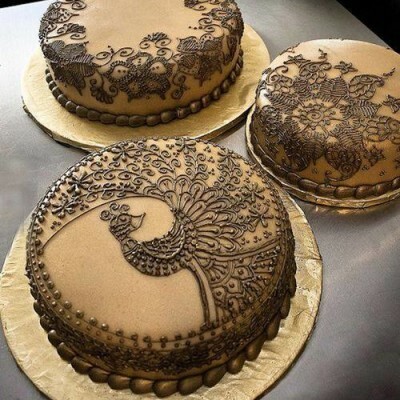 From there people wish the host happy holiday and depart. Saturday: prepare for Ser Sal or the new year, continue serving the visitors Batzmi meal. The Chera continue being lit. Those who visit leave some money as a token of the service the host had performed and take some of the sacred Basmbar that is worn on their wrist or neck.